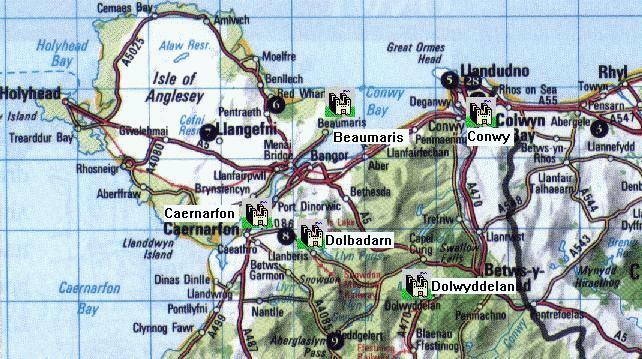 This partial map of north Wales shows the locations of what many consider to be the important or major castles for this section of north Wales. A castle icon has been placed at the approximate locations. Select castles by either clicking directly on the map, or from the list of castles below the map.